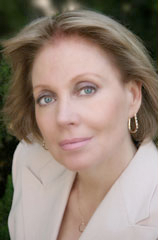 Sharrie Williams, heir to the Maybelline legacy, is Tom Lyle Williams's grandniece and Evelyn Boecher Williams's granddaughter. Growing up in their homes, and steward of the vast Maybelline archives, Williams tells the story of the birth of the Maybelline empire and dishes intimate and never-before-told details about the fascinating family dynasty behind it. Check out this amazing music from West Africa, produced and recorded by my friend, Paul Chandler, director of Studio Mali and Instruments 4 Africa. I chose this song in particular because it speaks of the importance of strong determination and finding your voice. It also applauds an honest hard day's work and how your daily efforts build momentum to move you forward in life. Tom Lyle Williams lived this and built the Maybelline Company on the foundation of honest hard work. Here I am at the Santa Barbara Barnes and Noble for my second book signing. They sold out of books in two hours and the manager said it was the most successful book signing they'd ever had. My cousin, Charles Allen Williams, aka, Chuck (he's in the book), arranged for me to do a half hour talk radio show with him the day before the book signing on a local Santa Barbara station owned by the Santa Barbara News Press called KZSB-AM, hosted by Baron Ron Herron. The News Press also wrote a beautiful review of the Maybelline Story in their Sunday paper the week before the signing. Chuck also gave me a reception at his favorite restaurant in Montecito called Cafe Del Sol and it was sky's the limit for 16 invited guests. My heart almost burst with pride when Chuck toasted the launching of my book and wished me great success, as several members of the Maybelline family lifted their glasses in agreement. I leave for Chicago Nov 9th to tape two TV shows and lunch with Jenniffer Weigel, author of I'm Spiritual Dammit and Stay Tuned, before heading home Nov 10th. 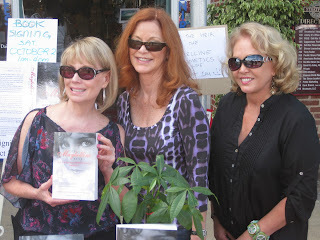 I will post the Santa Barbara News Press article and radio show as soon as possible for you all to enjoy. Let's make Chuck's wish come true and send The Maybelline Story to the Moon. Buy it now and help support the little kids in Mali, Africa so they have a chance to find their voice and express their talent through the arts. WOUNDED by being RICH & FAMOUS: The lifestyle that surrounded you was quite glamorous; and of course there was the privilege of growing up in wealth and surrounded by luxury. But was there a downside? Did you get to “have” and “be” “normal” as a child? and you do say you were wounded by the wealth and the family values that surrounded being a “Maybelline” family member.. what were the wounds, and how did you overcome them? Sharrie: I think it was a painful distraction to watch my Grandmother and my parents in a power struggle over certain family values. I was torn between my Grandmother's grandiose expectations and our mother's family values, which were more down earth. The striving to be “normal” and not keep secrets was what we struggled with. I was expected, by my Grandmother Evelyn, to look and represent Maybelline and perfection, at least that‘s how I interpreted it. Unfortunately, when I was a child I had a weight problem so she really worked on me in particular, which created serious eating disorders and lead to all kinds of low self worth and health problems, prescription drug use, etc. 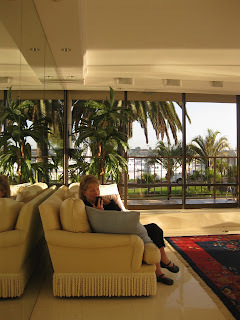 As far as luxury, we were very comfortable but not the rich and famous you may be thinking of. My uncle believed in moderation and discretion. That was his philosophy. 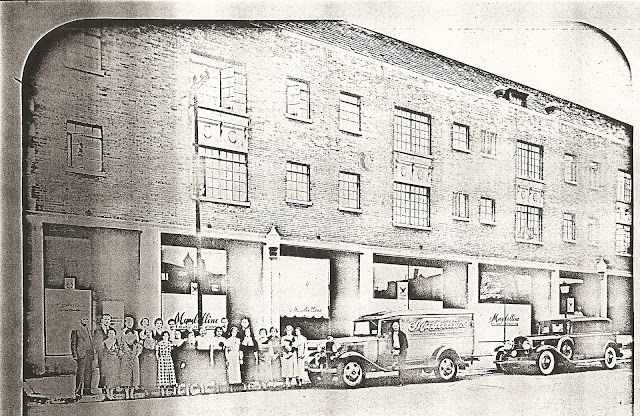 For our branch of the family, once the Maybelline Company sold, it was a spending frenzy! 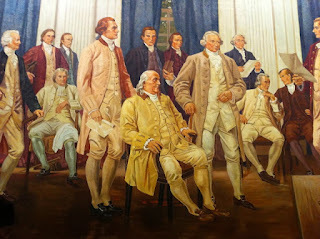 My Dad was attacked by gold diggers in Newport Beach and that’s when our little branch of the family began to crumble. You have to read the book for those details. These were my wounds and I overcame them by getting into recovery……..the 12 Steps. In1915, when a kitchen stove fire singed his sister Mabel’s lashes and brows, Tom Lyle Williams watched in fascination as she performed what she called ‘a secret of the harem’—mixing petroleum jelly with coal dust and ash from a burnt cork and applying it to her lashes and brows. Mabel’s simple beauty trick ignited Tom Lyle’s imagination and he started what would become a billion-dollar business, one that remains a viable American icon after nearly a century. He named it Maybelline in her honor. 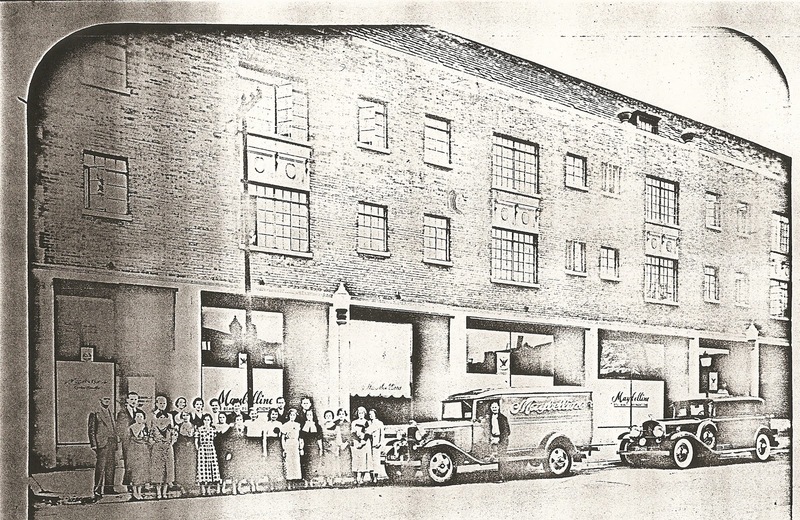 Throughout the twentieth century, the Maybelline company inflated, collapsed, endured, and thrived in tandem with the nation’s upheavals—as did the family that nurtured it. Excerpted from a letter from Alan A. Ragland. Alan also wrote the preface for The Maybelline Story and the Spirited Family Dynasty Behind It. Copyrighted 2010, Bettie Youngs Books. 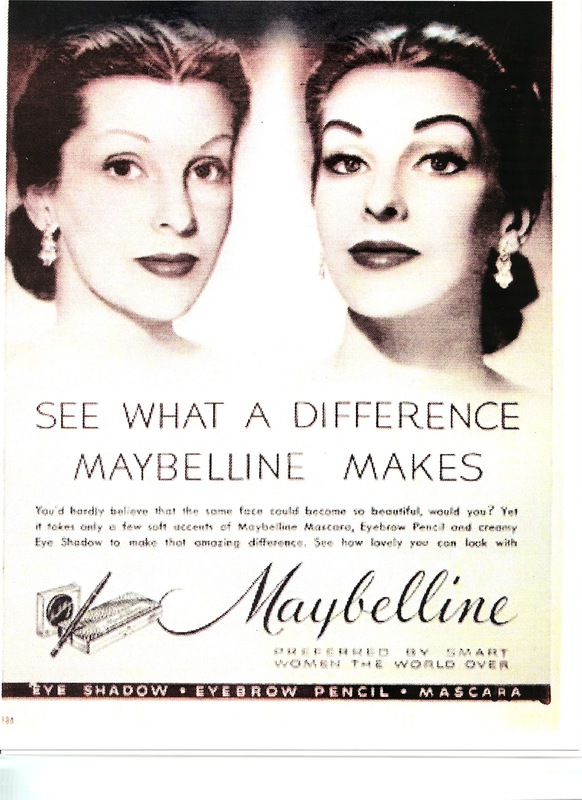 The Maybelline Company was acquired by Plough, Inc. effective 2/28/68. Negotiations were currently going on with American Cyanamid, Revlon, and Kimberly Clark. Rags Ragland, The Marketing genius Tom Lyle hired in in 1933, had owned Plough stock and was the unique influence in recommending Plough as a suitor to the Maybelline Co. Ragland's reasoning was that he knew that Plough was in a solid enough position to buy the Maybelline and also due to the leverage factor, he knew that Plough would be a preferred candidate. Plough was in a far superior leveraged condition in that the company had much fewer shares outstanding. In 1973 Schering, the 2nd largest pharmaceutical company in the world and Plough merged. Each of the stockholder's received 1.32 shares of Schering for every share of of Plough that they had owned. Abe Plough and Lanny Smith flew up with their executive staff in their private jet from Memphis to talk to Maybelline in Chicago ... post haste! Maybelline, pioneer in it's field. AND WITH MAYBELLINE, ALL WOMEN CAN HAVE BEAUTIFUL EYES." Tom Lyle Williams, my great uncle, propounded this universally appealing theme in mass media: movie magazines, radio, and even the comics section of newspapers during the 1920's, 30's, and 40's. But it wasn't until the advent of television in the 50's that the single most important selling tool was perfected. Through Television, Tom Lyle was able to show, as well as tell and sell, exactly what the customers could do. 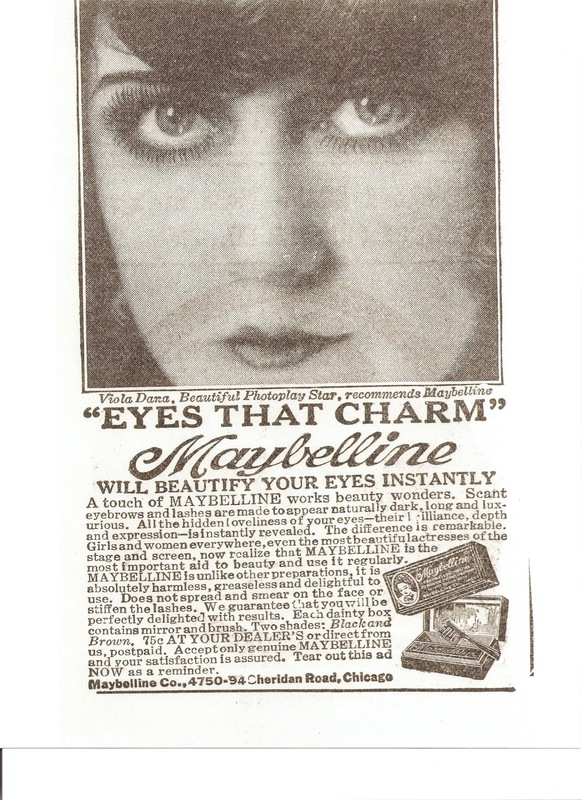 The consumer could now observe the fine performance of Maybelline eye beauty aids and learn just how easy it was to apply them through the technology of special effects. With this new medium, Maybelline was the first cosmetic company to offer real application and demonstration scenes through the magic of instant beauty transformation magnificently communicated through “before and after" sequences." 3rd, Secret of the Harem! When Nana was a young girl, in 1915, she like most young ladies of her time, read a movie magazine called Photoplay, that revealed Secrets of the Harem, so to speak. The secrets were homemade beauty tricks passed on from one generation to the next and were built upon as the ages unfolded. Nana and her sisters,Verona and Bunny learned the tricks, to make themselves as glamorous and alluring as the silent screen stars. I was indoctrinated into the Harem when at 5 years old, when Nana made my eyes up and paraded me around my great uncle Tom Lyle's living room for applause. From that time on, Nana became my mentor and I her little protege. One of her delicious little secrets for depuffing your eyes "after a late night romp with Valentino" she'd wink, was TEA BAGS. Yes, just plain old black tea bags. But there was more. First you place two tea bags in a half cup of boiling water for about 30 seconds, just to get the tea moving. Next, you gently squeeze out the excess water and place them on a small plate. Now stick them in the freezer until they are ice cold. Lay down for half hour if possible but at least 15 minutes and meditate on how gorgeous you are going to look with your Maybelline eyes tonight. Let me know what you think, I bet you will be begging for more of Nana's fabulous Secrets of the Harem. Take a glance at the fun topics I've written about in "The Maybelline Story and the Spirited Family Dynasty Behind It." Sound like a fun, fast-paced Summer read? I think so. Buy it today from Amazon. 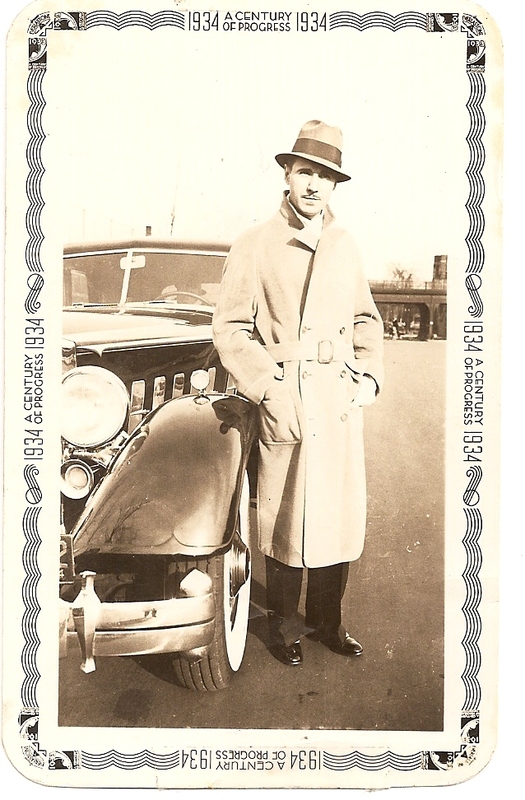 Soon you may purchase an autographed copy with a fabulous black and white glossy picture of Tom Lyle and Evelyn infront of his new 1938 Packard convertible. Happy reading! 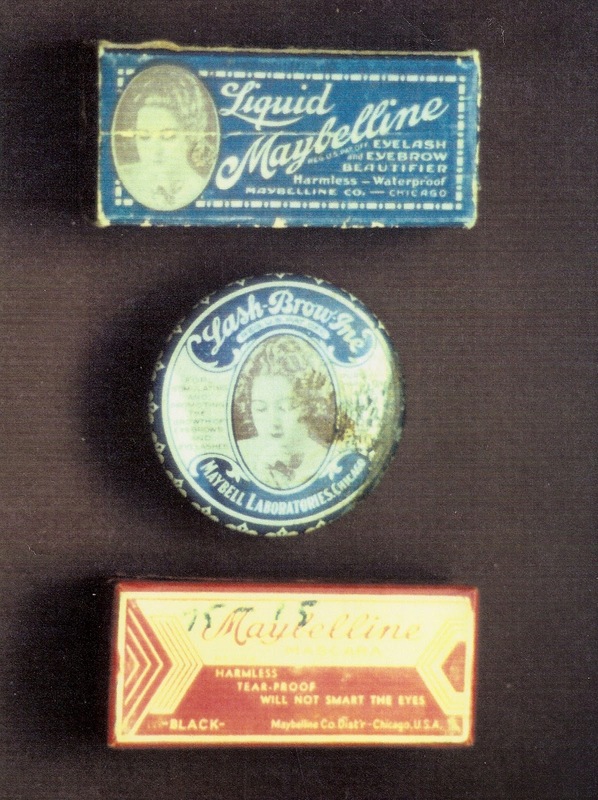 Maybelline, Cosmetics, Great Lash Mascara, beauty, Chicago, Hollywood, Morganfield KY, Tom Lyle Williams, L’Oreal, Great Depression, Bix Beiderbecke, Marketing Strategist, History, Family Dynasty’s, Family History, Lake Hamilton KY, Hot Springs Arkansas, Dorothy Lamour, Nickelodeon, Mary Pickford, Sears Roebuck and Co, Popular Mechanics Magazine, The Mayflower Families, Mercy Hospital, Mail Order Catalogue’s, The Household Guest, Weeghman Park, Balaban & Katz Theatre, Charlie Chaplin, The Little Tramp, World War 1, Cecil B. DeMille, The Lusitania, Lillian Gish, Birth of a Nation, Photoplay magazine, Vaseline, Victorian Era, Marshall Fields and Co., Park-Davis, Mascaro, Police Gazette, Saturday Evening Post, Gibson Girl, Coco Chanel, Powder, Rouge, Wall Street Journal, Mail Order, Lost Generation, Lord & Taylor, The Jazz Age, Louis Armstrong, Al Capone, Flappers, Chicago Institute of Music, Rudolph Valentino, Boston Opera Company, Jazz-Bo, Erte’, Art Nouveau, Harry Houdini, Miss America Pageant, Lake Zurich, Scabs, Cleveland, Pinkerton Agents, Mildred Davis, Jack Dempsey, Gene Tunney, Cubs Park, Wrigley Field, Mayo Clinic, Charlie Chase, Viola Dana, Lefty Flynn, Beverly Hills Hotel, The Polo Lounge, Tom Mix, Miss Mixit, Will Rogers, Clara Bow, Mildred Davis, Gloria Swanson, Malibu Colony, Wings the film, The Jazz Singer, Argentina, gangsters, St Valentine’s Day Massacre, Herbert Hoover, Academy of Motion Picture Arts, Douglas Fairbanks, Roosevelt Hotel, The Circus (film), Marion Davies, Roaring Twenties, Art Deco, Ponds Cold Cream, Helena Rubenstein, Duke University, Actress Natalie Moorhead, Actress Norma Shearer, Eastman-Kodak Camera, Tarzan of the Apes, Amos and Andy, “The Little Engine That Could,” Jimmy Shield, William “Bill” Haines, MGM Studios, Baby Face Nelson, John Dillinger, Pretty Boy Floyd, Clyde Barrow, Bonnie Parker, The New Deal, The San Francisco Golden Gate Bridge, Adolf Hitler, Tower Hill Military School, Dundee Illinois, Jean Harlow, Bombshell, National Recovery Act, FDR, The Maybelline Hour, WFNT, Penthouse Serenade, Good Housekeeping Seal of Approval, Dust Bowl, Biograph Theatre, Biograph Studio, Lady In Red, Joan Crawford, Technicolor Film, 1934 Packard Automobile, The 1934 Worlds Fair, Jake the Barber, William Randolph Hearst, Marion Davies, Vogue Magazine, Ladies Home Journal, Max Factor, Charles Revlon, Merle Norman Cosmetics, Production Code Administration, (PCA), Hays Code, Cary Grant, Randolph Scott, California, Marlene Dietrich actress, Lilly Dache’, Carmen Miranda, Laguna Beach, The Great Ziegfeld, Deanna Durban actress, Judy Garland, Biltmore Hotel, Musso and Franks restaurant, Hedy Lamaar actress, Carole Lombard actress, True Confession Magazine, World War 11, Eleanor Fisher actress, Santa Anita Racetrack, Clark Gable, Spencer Tracy, Bing Crosby, Seabiscuit, Benny Goodman band leader, Alice Faye actress, Alexander’s Ragtime Band, Fox Studio, The Fleishmann Hour, Times Square, Merle Oberon actress, Glenn Miller bandleader, The Wizard of Oz, Gone With The Wind, King Kong, Bill “Bojangles” Robinson, Eleanor Powell actress, Tommy Dorsey, Jimmy Dorsey bandleader, Tommy Dorsey bandleader, Frank Sinatra, Winston Churchhill, Tony Martin, Daryl Zanuck, Betty Grable, Phil Harris, Shirley Temple, Jane Withers, Busby Berkeley, Gene Krupa drummer, Cedric Gibbons, Douglas Aircraft, Louie B. Mayer, Mickey Rooney, Jeanette MacDonald, Glamour magazine, Ronald Reagan, Combat Camera, Bette Davis, Hollywood USO, Rita Hayworth , Mocambo restaurant, Xavier Cugat, Desi Arnaz, Greer Garson actress, Edgar Cayce, Jitterbugging, The Palladium, Romanoff’s restaurant, Humphrey Bogart, Lana Turner, The Coast Guard, Elyse Knox pinup girl, Linda Darnell, Maria Montez Susan Hayward, Virginia Mayo, Barbara Stanwyck, Fort Riley, Fort Ord, Philippines, General Douglas MacAuthur, Lois Collier actress, Ava Gardner, The American Dream, Norma Christopher, 1947 Tournament of Roses, Carlyle Blackwell Jr. Photography Studio, Hess Photography, Monoplies, McCarthyism, Bel Air Fire, Baldwin Hills Flood, Tungsten, Adlai Stevenson, President Eisenhower, Walkie Talkie dolls, Dorian Gray, Chinatown in LA, Olvera St in LA, Frederick’s of Hollywood, Rosie the Riveter, James Dean, Bill Haley and the Comets, Elvis Presley, Chuck Berry Maybellene the song, Grace Kelly, Prince Rainier 111 of Monaco, Hanna-Barbera Productions, Ben Hur, Camarillo State Mental Hospital, Manic-Depressive disorder, F.W.Woolworth, Patricia Stevens Modeling School, Dream Girl, The Gong Show, The Dating Game, Plough Inc, Schering-Plough, Martin Luther King Jr, Robert Kennedy, The Vietnam War, Neil Armstrong, Balboa Bay Club Newport Beach CA, Conway Twitty, Arson Fire In Hot Springs AK. There are certain stories, so dramatic, so sordid, that they seem positively destined for television—well, Lifetime television, at least. A new, thoroughly engrossing tome, The Maybelline Story and the Spirited Family Dynasty Behind It (Bettie Youngs Books, 2010), fits the bill, with insight into all the brand’s dirty little details. And author Sharrie Williams certainly would know: As heir to the drugstore makeup brand’s massive dynasty, Williams is the steward of all family documentation. Let us give you a brief synopsis to properly whet your appetite for this salacious read: The saga begins with a fire. In 1915, founder Tom Lyle Williams watched as his sister Mabel, after singing her lashes while cooking, applied a mixture of petroleum jelly, burnt cork, and coal dust to her damaged fringe in an effort to simulate fuller, more luxurious lashes. Tom immediately saw dollar signs in his sister’s makeshift mascara, and so began the now billion-dollar business that is Maybelline (named after the woman, Mabel, who inspired its creation). The dishy book’s most publicized revelation is that Tom, despite being a married father, carried out a 35-year relationship with a male partner, ad exec Emery Shaver. We were far more fascinated by the vignette about Evelyn, though, Tom’s over-the-top glamorous sister-in-law. The night after opening her Maybelline Dinner Theatre in Arkansas with a star-studded gala in 1975 (Bill Clinton was in attendance), Evelyn perished in a suspicious house fire, and the crime was never solved. Scandalous! It’s definitely a good beach book, if you’re headed for warmer climes this winter—and if anything, it will forever change the way you look at that pink and green tube of the brand’s best-selling Great Lash Mascara. Please go to In the Trenches Productions and listen to another great interview with Sharrie discussing her book, The Maybelline Story and the Spirited Family Dynasty Behind It..
A portion of the profits of The Maybelline Story is donated to Instruments 4 Africa (501c-3). Click here to learn more! Or click here to join the cause on facebook or donate! Viola Dana ,Beautiful Photoplay Star, 1925. Read all about her in The Maybelline Story and the Spirited Family Dynasty Behind It. Order now on Amazon. Big Business and Maybelline's roots. 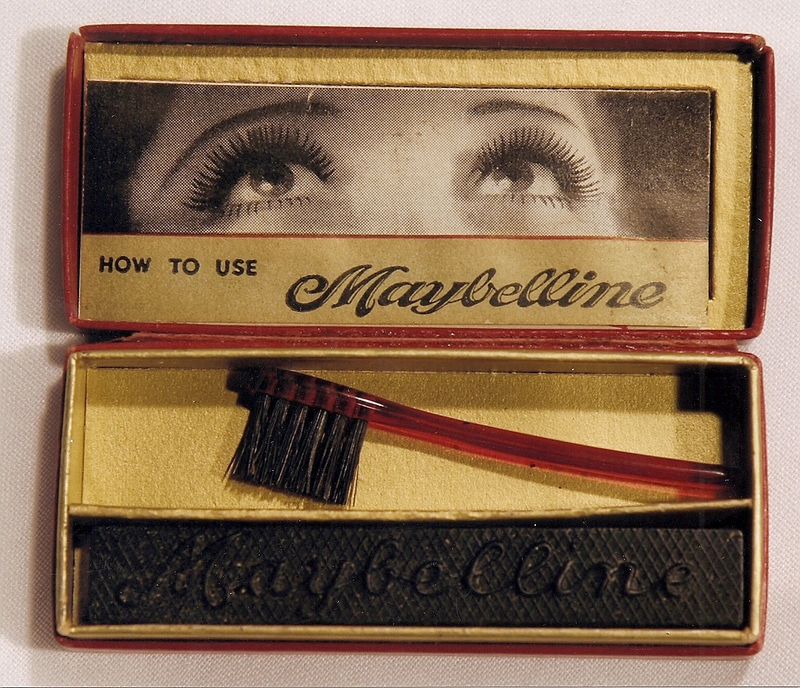 Not only was the marketing behind Maybelline brilliant, the handling of the business as a whole was ingenious. If you own a business or are starting a business pick up a copy of "The Maybelline Story And The Spirited Family Dynasty Behind It," for the many lessons you will learn about ethical and creative smart business practice. Through the 53 year history when Tom Lyle was at the helm, Maybelline weathered and overcame some disastrous times in this country and the world. And it never folded. One of his secrets was he surrounded himself with educated, brilliant people, like Rags Ragland, a marketing genius who helped shoot Maybelline to the moon with his innovation and inventive thinking. And when the government considered Maybelline a monopoly and threatened to destroy the company, Tom Lyle divided Maybelline within the family to keep it a private, family-owned business. Read all about Rags Ragland and the ups and downs of the Maybelline Company and the family behind it. Times Square 1938, during the filming of "Alexander's Ragtime Band"
Excerpt from The Maybelline Story and the Spirited Family Dynasty Behind It. Copyright, 2010 Bettie Youngs Books. Harlow had already died, of course, but Alice Faye, was a blond bomb shell that did have a Harlow aura. Verona went on to tell me that at that time Maybelline had a giant neon sign in Times Square and believed it was Alice who insisted that particular view of Times Square be shot and used in the film. Verona was sick I didn’t tell Alice who my uncle was, and she knew Tom Lyle would be very disappointed as well. One of Nana's beauty secrets that kept her amazingly youthful until her death at 77, was hot steam packs. I too have been using them for over 30 years and here is why... Hydroculators are what chiropractors use to relax a patient's tight back after an injury or stress from compression. Nana had been in a couple of accidents and loved how the hydroculators relaxed not only her back but the stress on her face. You see, the steam from the pack is able to penetrate so deep it gets blood back into pinched nerves and relaxes them completely. I have to admit that after lying on my hydroculators or hot steam packs I sleep like a baby and my face shows no stress. Try it! Maybe this secret will work for you. Read more about Nana in my book and if you are interested in her beauty secrets, let me know and I'll pass them on. Beauty in the 21 century. 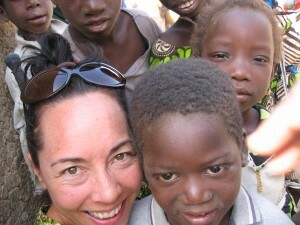 A portion of the profits from the Maybelline Story will be donated to one of my favorite charities, Instruments 4 Africa. Their work in Mali, West Africa provides quality education and mentoring to underprivileged children in one of the poorest neighborhoods of Bamako, the capital city of Mali. They are giving youth the skills and opportunity to find their voice, dream big and reach their highest potential. Join the cause on facebook and learn more! Or click here to donate! Tama Walley of Instruments 4 Africa. Whether we are born rich or poor, we all have a God-given voice that needs expression. Writing "The Maybelline Story" was a way of expressing that voice. I was part of a family that looked fabulous but couldn't express their real feelings. This set me apart from people and I became nothing more than a beautiful lonely mannequin. After a lifetime of accepting stuff and calling it love, I needed more. My grandmother's tragic death in 1978, unleashed a scream buried deep within my belly and I turned to "intensive journaling" to find my truth. You're as sick as your secrets someone said, and they told me that true happiness was being open and honest with myself and connecting with others. If the "Maybelline Story" is received well, I plan to write a second book that will help others discover their inner voice, find buried dreams and create fulfillment in there lives. 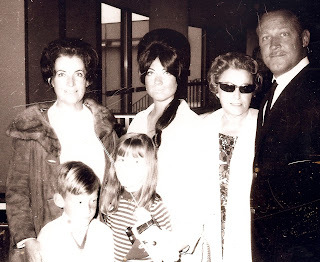 Picture includes, Pauline, (my mother,) me, Nana, (my father,) Bill and (my brother) Preston and (sister )Billee in 1966 at LAX after returning from Chicago. 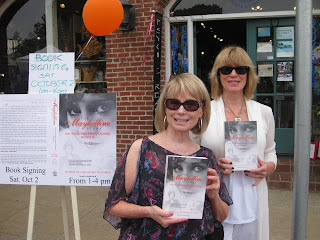 Read all about my visit with the Maybelline family in my book. The man who would become a cosmetics giant, Tom Lyle Williams, was a private figure who hid from the public because when he launched the Maybelline Co., mascara was deemed the “province of whores and homosexuals.” To protect his family from scandal, and to stay out of view from the scrutiny of the press, Tom Lyle ran his empire from a distance, cloistered behind the gates of his Hollywood Hills Rudolph Valentino Villa. He contracted movie stars to represent him in all forms of media. From the earliest days of silent film he sought Photoplay stars like Viola Dana, Phyllis Haver, and Clara Bow. Throughout the 1930’s “Golden Age of Hollywood,” he splashed magazines with glamour, using Jean Harlow, Joan Crawford and Merle Oberon to represent the ideal Maybelline image. During the World War ll era, he turned to pin up girls like Bettie Grable, Elyse Knox, Hedy Lamaar, Rita Hayworth, and Lana Turner, to inspire the boys fighting for our Country and keep Maybelline ingredients flowing . By the 1950’s, the girl next door, represented by Debby Reynolds and Grace Kelly, appealed to the emerging young mothers and housewives. When Maybelline appeared on Television in the early 1950’s, Tom Lyle decided to appeal to a more universal image and rather than promote film stars created the cool, exotic, sophisticated woman who would appeal to foreign as well as domestic markets. Joan Crawford – Had her teeth pulled and replaced to have a more beautiful smile and became Maybelline’s spokesperson for years. Merle Oberon – was in an accident that disfigured the skin on her face, yet in films she looked flawless because of pancake make up. Bettie Grable -took over for the leading song and dance actress Alice Faye and became a big star in musicals as well As one of Maybelline’s top models. Debby Reynolds was to be Maybelline’s leading model in the 1950’s until Tom Lyle decided to change his ad campaign from the all American Girl to a more international exotic sophisticate in his TV commercials and print magazines. Maybelline was the sole sponsor for the Grace Kelly, Prince Rainier lll, wedding in Monaco appeal to a more universal image and rather than promote film stars created the cool, exotic, sophisticated woman who would appeal to foreign as well as domestic markets. Maybelline, why tell the story? Many people ask what inspired me to take on the challenge of writing such a detailed saga of my family. My Response: I want the world to remember Tom Lyle Williams as one of the great American Entrepreneurs. His "rags to riches story" is inspiring and should be remembered. Also, I didn’t want the unsolved murder of my Grandmother, Evelyn Williams, to be forgotten. This is a larger than life tale of a family who lived the American Dream, and survived its tradgedies as well as its triumphs. After working on this book since you were a little girl, it’s finally finished. Do you remember me telling you and all of Georgia’s little girlfriends, “I’m still working on the book.”? I’m sure you all got pretty bored and rolled your eyes behind my back, but I never stopped believing in myself or my dream of having a published book. When you and the girls had slumber parties at our house, I’d have to move my research into my room to make it nice for everyone. Then the five of you, Georgia, Angie, Sarah, and Brie went to High School, College, got married, some of you had babies and bought beautiful houses and I’d still see you and say “I’m still working on the book.” How silly you all must have thought I was, getting old and still holding onto a dusty old dream. But now, I’m so happy and proud to finally hand all you darling girls a copy of the Maybelline Story. 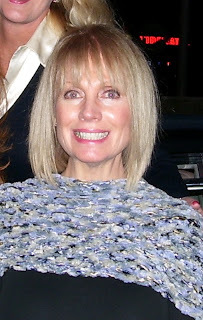 Yes, I’m pretty old now and not as excited over celebrity as I might have been in my 30s and 40s, but the feeling of accomplishment is intoxicating and all I can say to all of you precious young ladies, is “the best is yet to come, and never ever give up on yourself and what is important to you. And never lose your inner-voice.” I love and appreciate all you girls, who as children inspired me to keep going and now you can see me as a roll model who believes you’re never too old to feel young. p.s. photo of my friend Cheryl, my publisher Bettie Youngs and me on the night we launched The Maybelline Story...look for it in your local book store on October 5th. Maybelline founder Tom Lyle Williams kept his homosexuality under wraps -- even from his own family, says Sharrie Williams in her book "The Maybelline Story and the Spirited Family Dynasty Behind It." 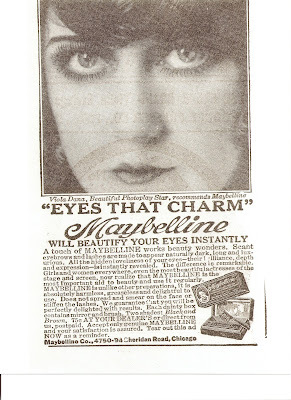 Lyle founded Maybelline in 1915 and was a reclusive figure until his death in 1976. Though Tom Lyle married a woman and fathered a child at 16, he was gay and had a 35-year romance with advertising executive Emery Shaver. 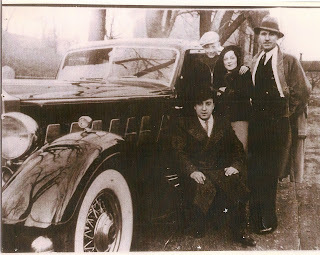 To hide his lifestyle, Tom Lyle eventually bought Rudolph Valentino's villa in Hollywood, and planted hundreds of palm trees around the property so he could run the Maybelline empire from protected confines. "It was never discussed," said Williams of her uncle. "We didn't think anything of it, when he had his own makeup on. We just thought he was a glamorous man. We adored him so much that it wouldn't have mattered." Shaver died of a massive heart attack in 1964, after which Tom Lyle fell into a deep depression. Check out the interview in the New York Post (page 6) on Sunday, 9-26-10. The opening quote of the book—“A woman’s most powerful possession is a man’s imagination.”— holds a great deal of truth, and according to my grandmother, Nana, a woman has the power to create an image of herself that reflects in her mans imagination. Nana said "a woman can inspire or deplete her mans spirit by the image she projects to the world." Men are naturally inspired by beauty of any kind, a beautiful car, a beautiful home, and a beautiful woman. "So Sharrie," she said, "create an image of yourself that will empower yourself as well as your man, in other words, "be his muse darling, a source of inspiration, a guiding genius. 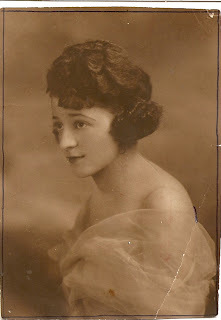 My Grandmother, aka, Miss Maybelline was a woman ahead of her time, a torch bearer for her generation. She wanted to pass that torch onto me, and expected me to carry on her legacy. Nana was not only captivatingly beautiful, she was brilliant, took risks and went after what she wanted. My Great Uncle Tom Lyle created many Maybelline ads for the woman she represented: a bold, sophisticated fashion diva with a mind of her own. 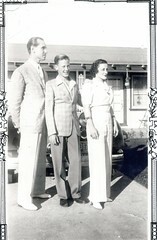 Meet Nana for yourself when you read The Maybelline Story and the Spirited Family Dynasty behind it. As I was growing up, Tom Lyle's stories instilled in me the will to keep going even though many dooors were slammed in my face. Now after 20 years, I can proudly say that The Maybelline Story is finally being released on Sept 27th. 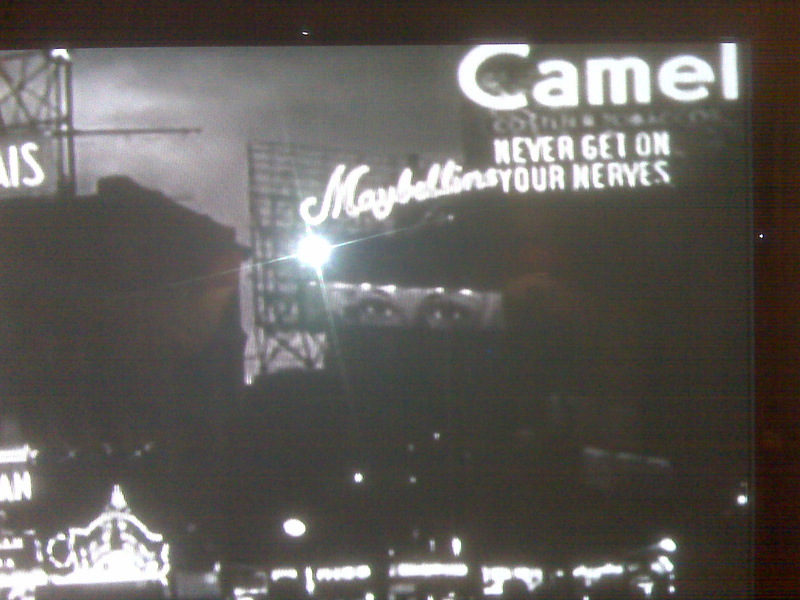 In the 1930's the tabloids of William Randolph Hearst reported that companies like Maybelline were responsible for “America’s moral decline,” and when Malcolm White’s 3-year study concluded that “homosexual executives in the beauty industry were bent on corrupting American womanhood,” irate husbands and club women lobbied the US Congress en Massey. Congress drafted two bills to “purge homosexuals wherever possible.” The Hays Code came about, which made it impossible to be openly gay, sending stars such as Cary Grant and Randolph Scott into well-publicized married lives. Tom Lyle and his partner Emery Shaver remained hidden from public scrutiny, behind The gates of their Villa Valentino, in the Hollywood Hills and ran the Maybelline Co. from a distance. 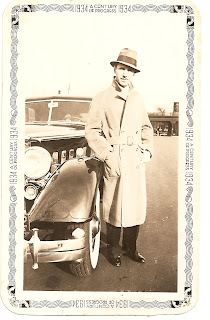 Check out the picture of my uncle Tom Lyle and Emery standing in front of Tom Lyle's beautiful Packard on this page. 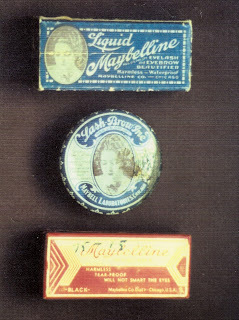 I loved growing up in the Maybelline family, although there was a high price to pay. It was important to always look perfect or risk criticism from my perfectionist grandmother, Nana. Some people said I was conceited and aloof, however if they got to know me, they realized I was just a nice girl from a tight knit family. After marriage and had a child, I realized my inside didn't match my outside so went into therapy. Getting to know my real self was a lovely surprise and opened me up to a wonderful new life. Today I sincerely try to be authentic, not rely on my looks for approval, yet still appreciate my Maybelline legacy. Merle Oberon and Heddy Lamarr.